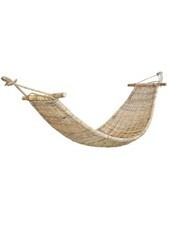 A Hammock is a perfect addition to a Scandinavian ethnic bohemian atmosphere, etiher outisde or inside. During spring and summer, when you feel like you want to swing in the air the sun, it will be perfect, especially outdoors. 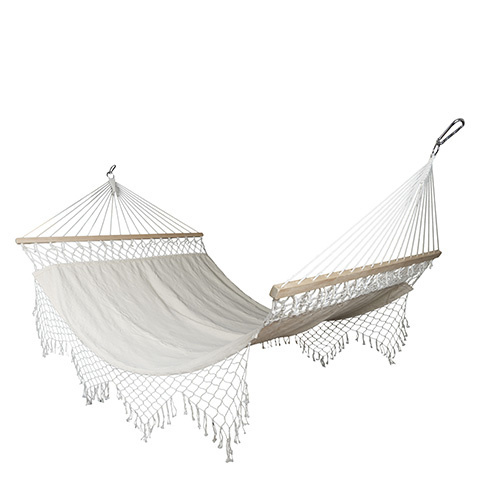 The advantage of a hammock is that you can always take it with you wherever you go, and it is easy to install ! The collection of bohemian hammocks and hanging chairs from the brand Bloomingville offers you everything you need to createfor your Zen corner .